ECOLISE members were gathered at their annual General Assembly, a so-called blended event, where participants attend either in person or online. This year the gathering was hosted by the Croatian Permaculture Association at the Mariapoli Faro centre in Križevci, Croatia. ECOLISE has honed the skill of hosting blended meetings, which help lower travel-related carbon emissions, so all participants (whether in person or online) are able to fully engage in the creative sharing, decision-making and networking of the meeting. People from 20 countries came to the 4-day gathering. Liberta Care Foundation (Netherlands, an organisation working with young people, with a focus on guiding refugees and education. Participants concluded ECOLISE’s 6-month process of reviewing and reworking the network’s strategy and agreed its new purpose, vision and goals. They also expressed their gratitude to the outgoing ECOLISE Council and elected a new 11-person Council, which will sit for two years. 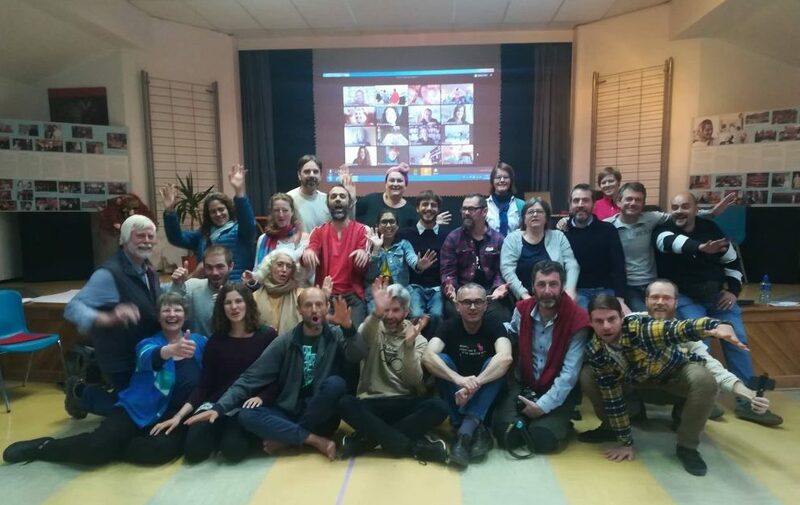 Francesca Whitlock of Global Ecovillage Network (GEN) Europe and Davie Philip of Cultivate, an Irish practical sustainability organisation focused on active education, were elected as ECOLISE co-presidents.